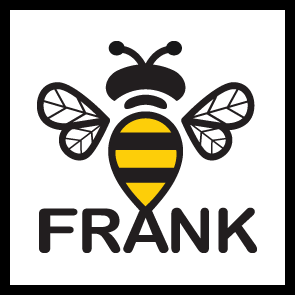 "FRANK" is painters, sculptors, writers, photographers, animators, illustrators, designers, printmakers, musicians, performers, students, mentors, volunteers, art lovers, wellness practitioners .... and absolutely anyone who'd like to get involved. We are a not-for-profit artist-run organisation offering affordable studio and gallery hire, mentoring, workshops, community-focused events and collaborations. Started as a Safer Streets Initiative by the Frankston City Council, a group of local artists were invited to occupy a semi derelict building which had stood vacant in the CBD for almost twenty years. 31 Beach Street was very quickly transformed from a dangerous squat into a vibrant, welcoming hive of activity. In June 2017 we moved to our new location at The Pavilion on the corner of Spring & Nolan Streets in Frankston South. The new larger common space has given us the exciting opportunity to accommodate larger groups and offer affordable classes and workshops by local artists. Please be sure to follow us on social media and check the calendar on our website to stay informed about what's coming up! LET'S FILL THIS TOWN WITH ART!